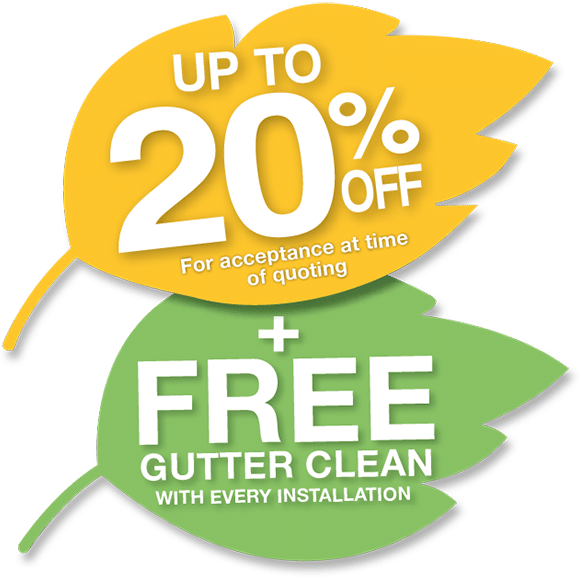 Leafshield’s gutter guard is one of Australia’s leading brands of gutter guard protection products, It’s simple and effective way to prevent your gutter from gathering water. Using a custom fitting and a unique design, Leaf Shield’s gutter guard prevents leaves and debris from blocking your gutters. By performing such a simple function, it allows water to flow smoothly, reducing the risk of unexpected ceiling damage, rusted gutters and most of all gives you peace of mind. Call us for a free quote or complete the quotation form above. Leaf Shield has been installing since 1995. Our meshes have stood the test of time. Made of the highest grade materials, our products give you peace of mind for years after installation. Each home is different. Our trained consultants customise a gutter guard system for your home. We have a wide range of colours to match your roof & gutters. NEVER CLEAN YOUR GUTTERS AGAIN! INSTALL NOW AND SAVE! At Leaf Shield, we understand that when it comes to your home, you want nothing but the best. You need gutter guard solutions that work well and last many years. That’s what our combined experience allows us to deliver. We designed our range of gutter guard products out of the most durable materials to bring you some of the most robust and long-lasting products on the market. After installation, our products offer a safe and sustainable solution that also meets all building regulations. Leafmesh® is manufactured by Tapex P/L an Australian company since 1880. – Stops medium to large leaves, twigs and birds.